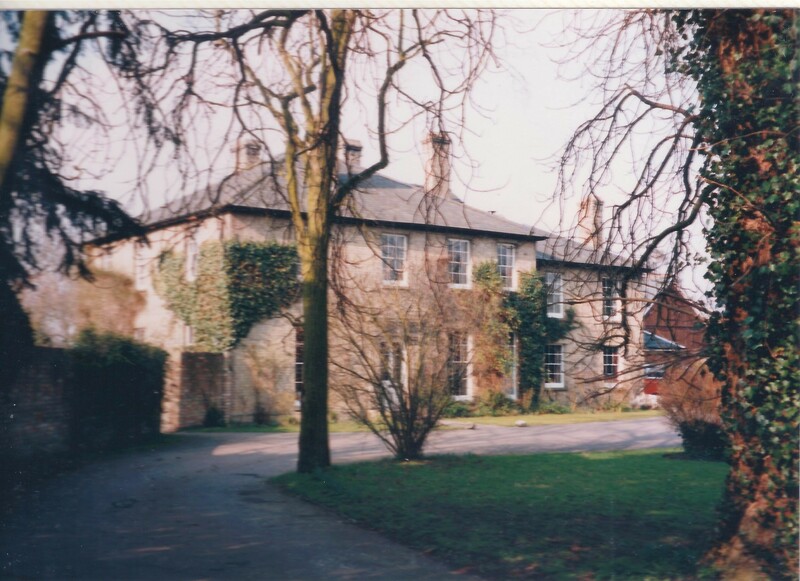 Before the Vicarage was rebuilt in 1849 it is thought the old vicarage was lower down nearer to the river and to the south, near where the new 1972 vicarage is. If it was nearer the river it probably suffered from flooding or damp so a new one was built under the provisions of the Clergy Residence Repair (Gilbert’s) Act of 1776, the reformed act of 1834, and the Parsonages Act of 1838. Documents held in the diocesan archive in the University Library show the Bishop of Ely gave the Clerk Vicar, Rev. 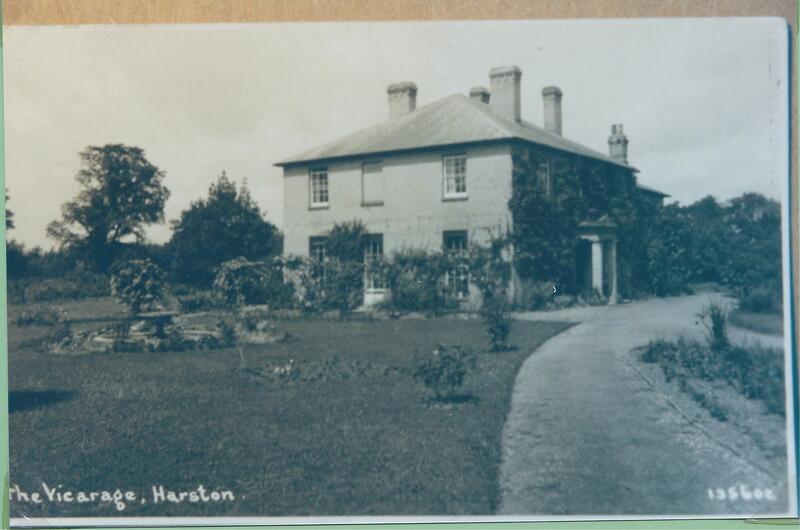 Frederick Jeanes Durbin permission to demolish the existing vicarage and rebuild (a New Vicarage at ’Havestone’ alias ‘Harston’) with a mortgage bond raised by him for £1020. James Fendall, the Clerk Rector of the parish also raised a mortgage bond for £700. 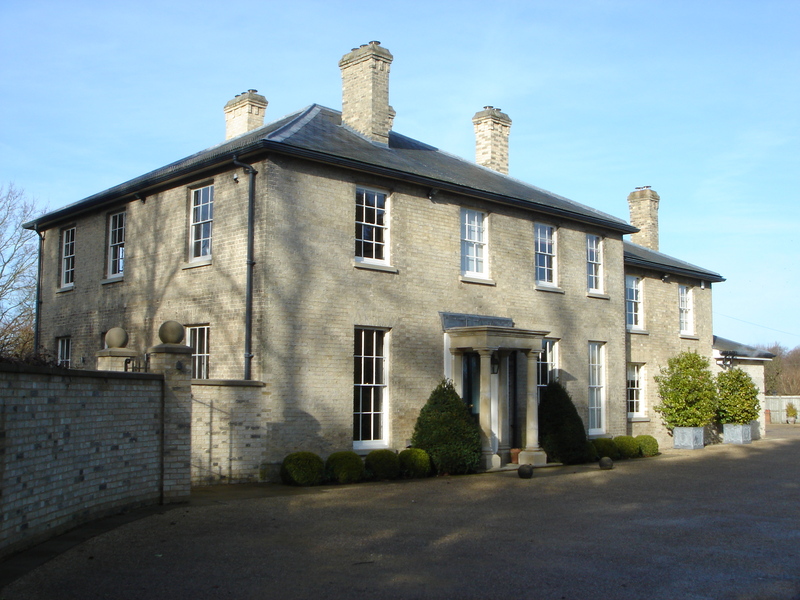 The architect George Buchanan Wollarton of Eltham (Kent) was contracted for a fee of £43 (Original drawings and specification dated 25 July 1849). Wollarton estimated the cost of the works at £1062, identifying monies to be paid to individual tradesmen. 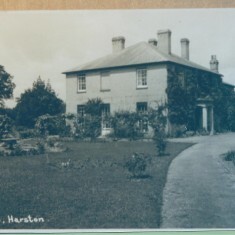 £43 was raised from the sale of the old house and a fireplace was reused in the living room of the new house, valued at £10. The contract expected completion of all works 243 days from commencement of excavations, with completion of walls and roof by 107 days. A penalty clause of £1 per day was imposed for late completion. 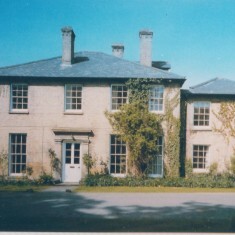 Some of the material from the original vicarage was also thought to have been used to put up some cottages. The Rev Frederick Durbin farmed his own glebe and there were farm buildings in his time at the back of the garden. 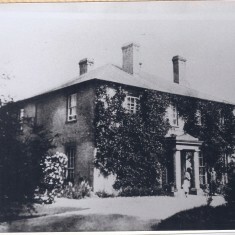 F J Durbin was succeeded as vicar by Edward Curtis Baldwin in 1889 and it is likely that the latter carried out alterations to the house in the late C19th or early C20th, primarily opening up the house to more light, made doorways larger, connected the interior to the garden and created a ‘grander’ entrance hall by removing the study to the service wing. The blind windows to the chamber floor on the south elevation, one window on the east elevation to the north bedroom of the main house were opened up (see photos) and ‘walk through’ lower panels created to the sash windows to the west façade of the drawing room. A new doorway was formed on the east elevation between the two windows to the pantry, storecloset and laundry and dividing walls removed- possibly to create a new study that could have a separate entrance (from the main one) for parishioners. 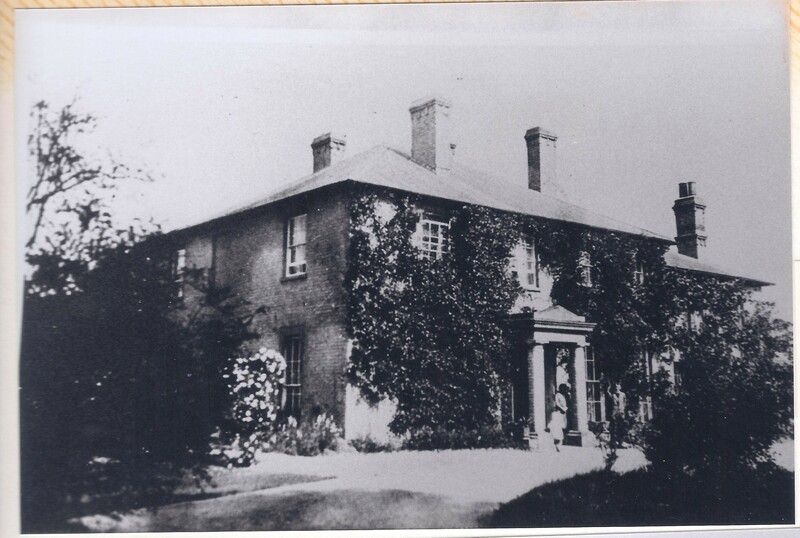 When Mr Baldwin also ‘turned the garden into a veritable paradise’ many human bones were found where the lawn was and during the building of the foundations. Close to the site of the present vicarage is a spot called “the Red Field” where it is said the Battle of Thriplow Heath between Rebels/Parliamentary forces under Cromwell and Royalists was ended with many stragglers being pursued and killed there when unable to cross the river. Canon Baldwin was succeeded by Frank Donald Pearse Davisson in 1924 but it is thought he or his successors altered little. 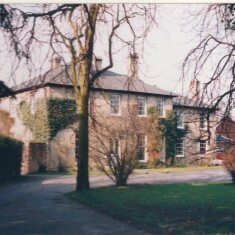 The house was sold out of the parish in 1970 when a modern vicarage was built on adjacent land near the church to the south. The developer who bought the old house wanted to demolish it and replace it with 4 houses. Permission was refused so an extensive ‘renovation’ of the house was undertaken. The architects’ (Bird & Tyler Associates of Cambridge) drawing is dated April 1972. 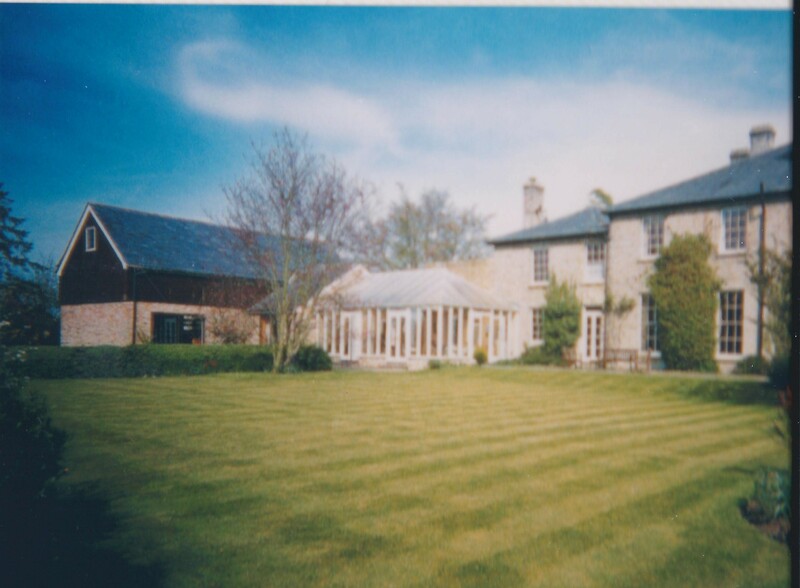 The renovation included construction of the barn and garage, and removal of significant parts of the original internal fabric and some external fabric and the removal of the original service wing lean-to. New contemporary building materials were used and many rooms sub-divided, with many doors, walls and stairs being altered. Also the east side of the service wing at chamber level was converted into a separate bed-sit with its own entrance. The original Doric style porch was probably removed at this stage as well. gardens bordering the banks of the River Rhee). 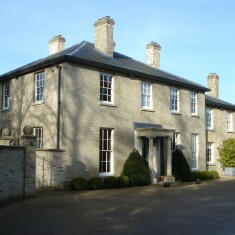 House, formerly the vicarage. 1849-51. Yellow/white brick with hipped, slate roof and internal stacks. 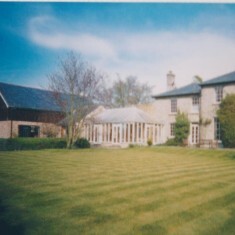 Square plan, double fronted, with service wing. Two storeys. 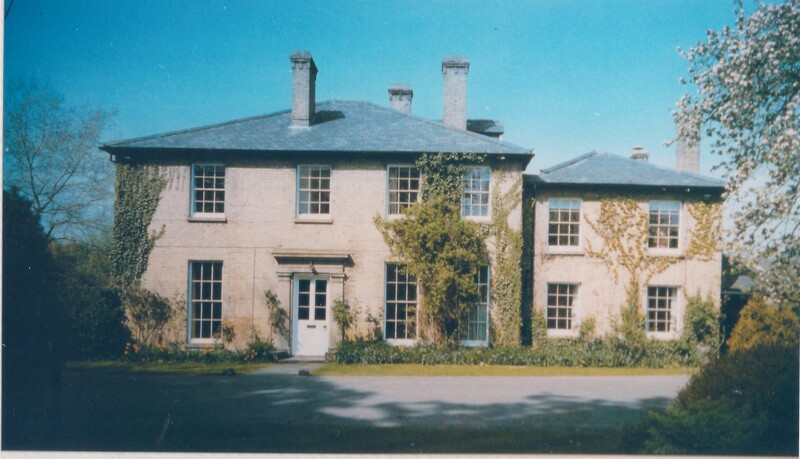 Principal elevation has three recessed hung sashes of twelve panes each and two larger, similar windows on either side of doorway with stone surround. This page was added on 09/10/2015.